Earlier this week Nick Garcia wrote about how we think too much about good technique rather than what style will fit an individual athlete. Looking at the final technique is trying to reverse engineer the problem. What we should be looking at is the philosophy that it all started with. One thing that top coaches have in common is that they understand the throw and have an idea of what forces they want to create. How that looks and what the athlete needs to do to achieve it might result in different technique, but the core idea is front and center. 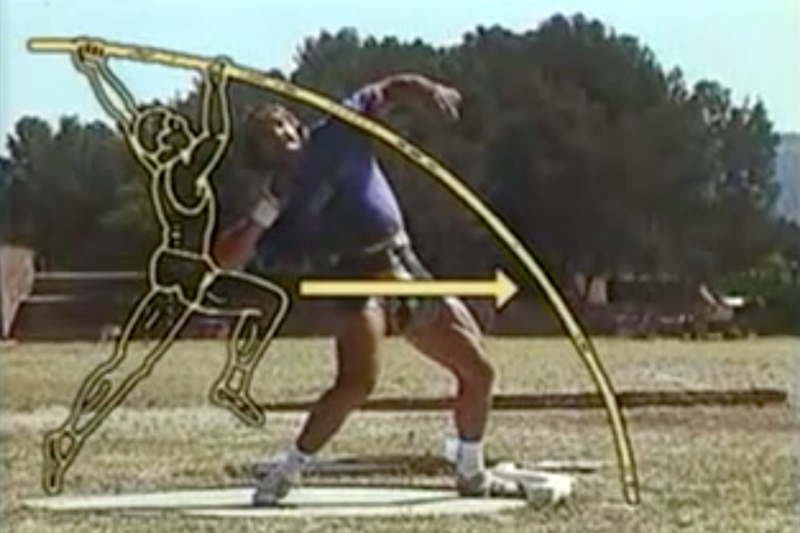 In our most most recent video lesson Nick Garcia explained the philosophy behind his approach to the rotational throws and how that translates into teaching progressions. Several years ago Nick and I hosted a training conference together with Jean-Pierre Egger after the World Indoor Championships. There he explained his own philosophy and how that translated into his coaching. It was a great cases study in the importance of a technical philosophy. Egger is currently retired from coaching and might not have the same name recognition as Art Venegas, but he is to the glide what Art is to the spin. Egger coached two of the most successful gliders of all time in Werner Günthör and Valerie Adams. Combined they won seven world titles under his watch. Günthör came to Egger as a young thrower and he had a blank slate to work with. Adams, on the other hand, came to Egger mid-career. She visited him for a training camp shortly before the 2010 Continental Cup. At that point she had already won an Olympic title and thrown 21 meters, but she was stuck in a rut and could barely get over 20 meters all season. After working with Egger for the next six years she quickly found her form and eventually surpassed her own Oceania record. » Related content: Our 2011 interview Jean-Pierre Egger takes a deep dive into his approach to training, technique, and compiles some of the best resources on his work. If you have watched the famous Werner Günthör’s training video you will likely recognize the photo below. In just one image Egger simply summarizes his philosophy of the glide. The video is in French and German, but it needs no translation. “With the glide the biggest problem is that the athlete must understand exactly what they are trying to do with their body. Let me give you an example. Look at the pole vault. The pole vaulter takes the pole in his hands and he runs flat until he puts the pole in the box. The pole vaulter doesn’t jump up; he runs forward and that creates tension in the pole that pushes him up. What does the shot putter do? They move flat through the ring, and then forcefully put their left leg in the “box” (the toeboard). Their left side is like the pole and the right side is like the athlete. Then they push their right side into the left side. Everything is horizontal. The whole system tenses like the pole vault, and then the shot putter can jump. It is hard to imagine that you can reinvent your throw in a few weeks, but that is basically what happened. A little change in technical philosophy helped Adams take a giant step forward and throw 20.86 meters at the Continental Cup. She not only crushed her competition, but at that time it was the second best throw of her career and nearly a meter over what she had been throwing earlier in the summer. Simply having a sound technical idea in your head can often be enough for coaches and athletes to get the job done. It sounds simple enough, but how often do we sit down and try to articulate our approach like Egger did.